Sriz Beauty Blog: Maybelline Fit Me Foundation In Shade 310 Sun Beige Review!!! Maybelline Fit Me Foundation In Shade 310 Sun Beige Review!!! 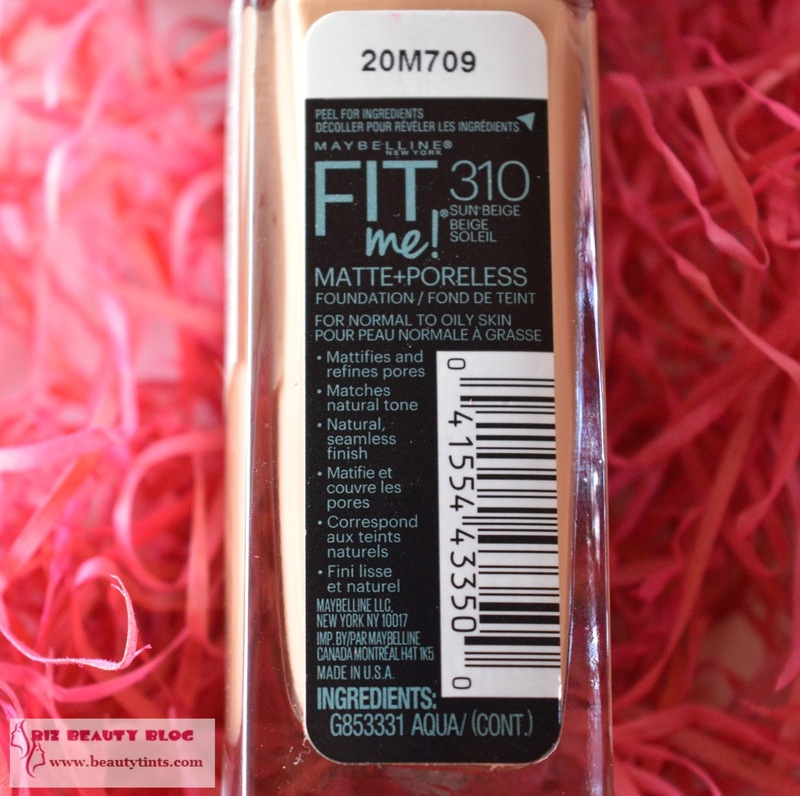 Today I am reviewing the Maybelline Fit Me Matte + Pore less Foundation in shade 310 Sun Beige.This Fit me range has been launched recently in India but it was launched an year ago in other countries. 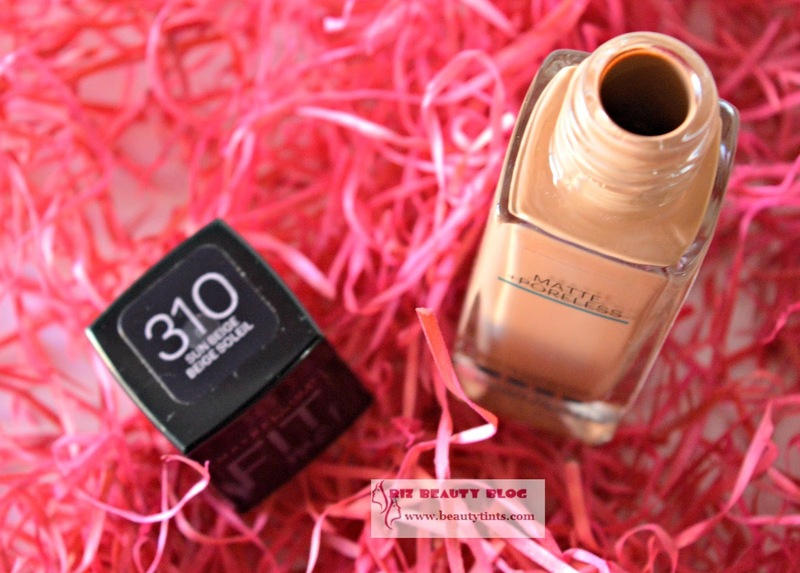 When ever I purchase a foundation,I always end up getting one shade lighter or darker but this time the SA did a good job and I got my perfect matching shade!!! 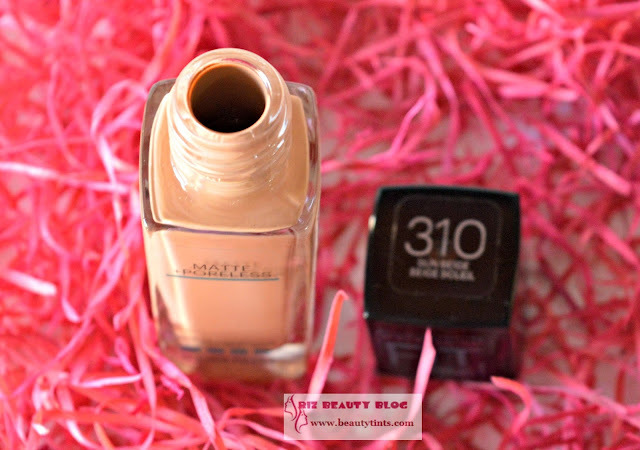 Packaging : It comes in a sturdy transparent glass bottle with a black cap. What the product Claims :mattifies and refines pores,matches natural tone,natural seamless finish!!! 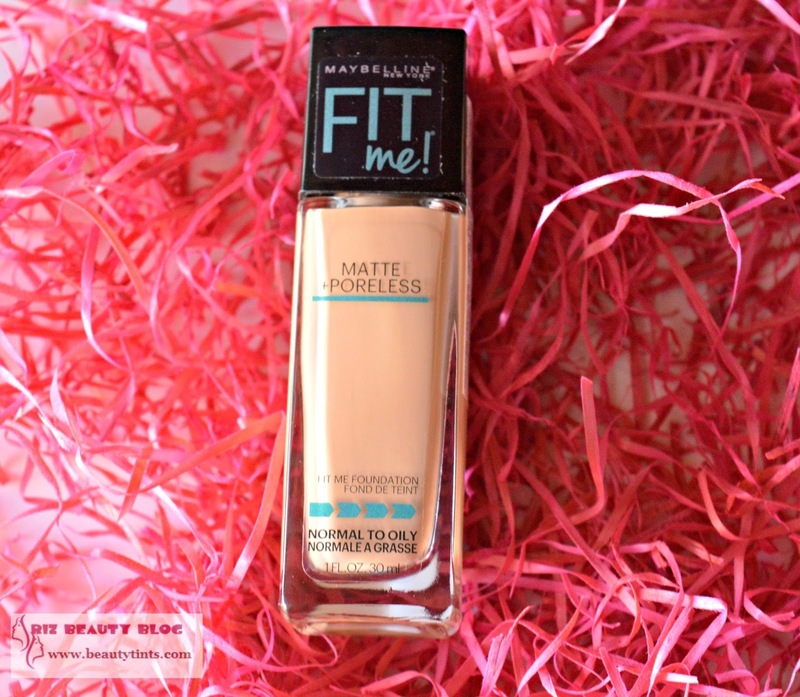 My Views On the Product : The Maybelline Fit Me Foundation comes in a transparent glass bottle with a black cap.One has to pore the liquid directly from the nozzle,which is a bit inconvenient to use,especially if you are in a hurry.It would have been better,if it had a pump dispenser. 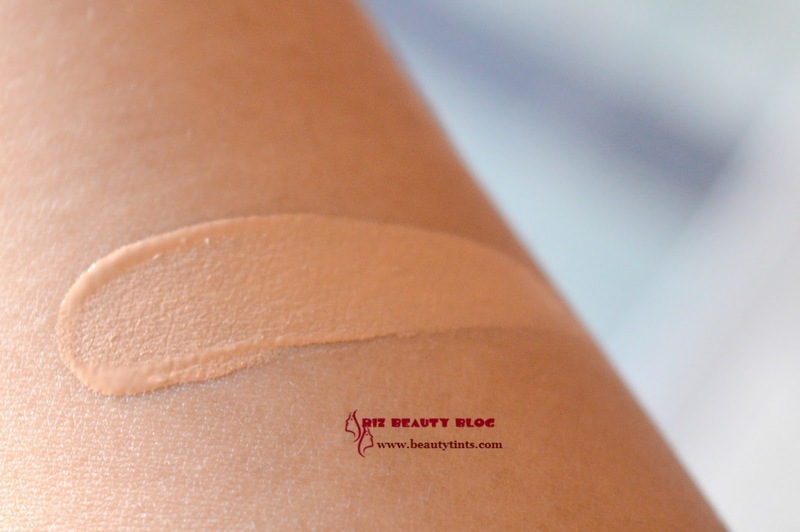 The formula is neither runny nor thick but has the right consistency and it blends super easily into the skin.It is very light on the skin and doesn't feel heavy at all. 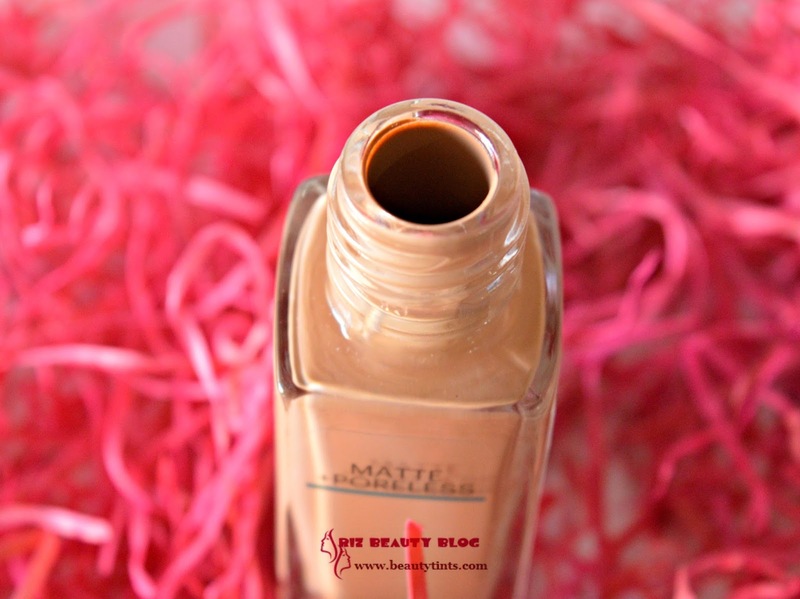 The texture is creamy and as the name suggests it gives a poreless and matte finish. 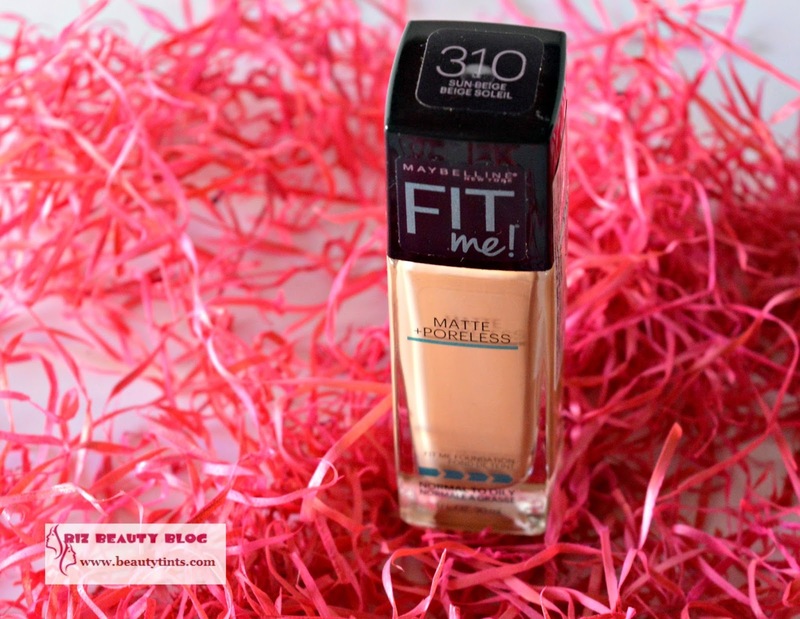 It gives light to medium coverage and is buildable. I love to use it with my Real Techniques miracle complexion sponge which is recently added to my vanity kit.I tried using it with brush as well but the finish is not as good as that of with sponge.It covers minor blemishes and light spots well but it covers stubborn black marks only to some extent.The best thing which I love about this foundation is that it gives a natural finish or to say precisely it gives a perfect 'No Makeup' look to the face.It doesn't give cakey look at all and doesn't settle in lines around mouth and eyes.It does stay on my face for good 5-7 hrs.It gives a shine free look which is a blessing for oily skin people like me.This has become my favorite foundation and I am going to surely repurchase it again.This is the best foundation for every day wear. 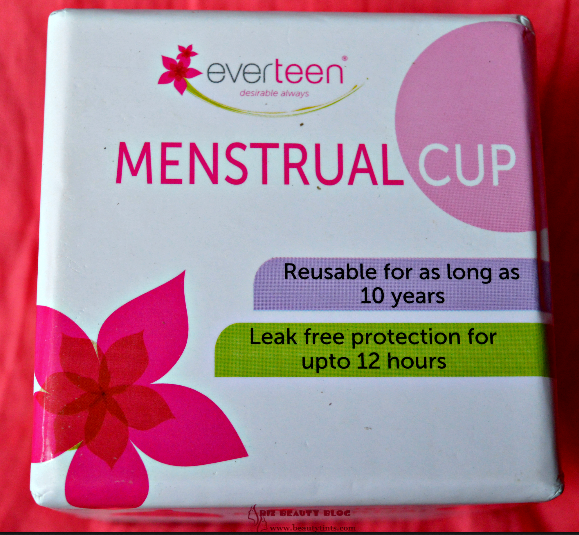 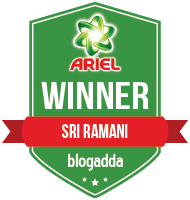 It is super affordable which is the best best thing about it!!! 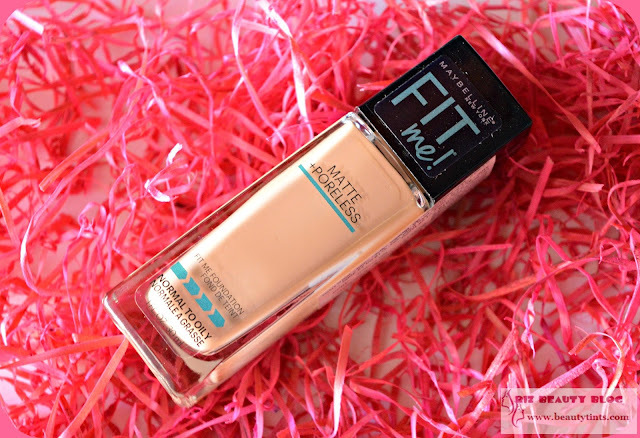 Final Conclusion about Maybelline Fit Me Foundation : I would recommend this foundation to those who are looking for a light weight daily wear foundation with good coverage and which gives the perfect poreless matte finish with in a budget should try this for sure!!! 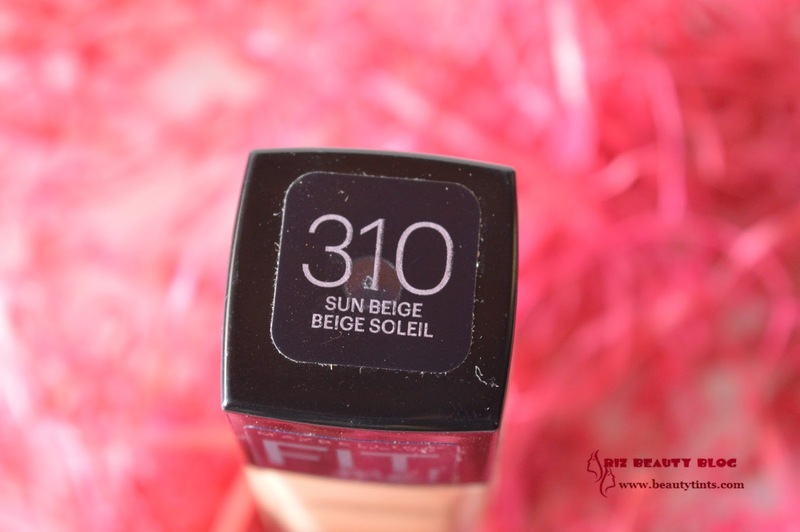 Highly recommended for oily-combination skin!